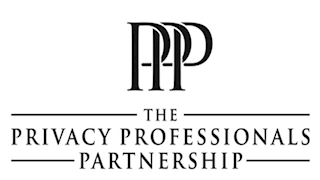 Founded in March 2017, The Privacy Professionals Partnership was created to govern the Information Privacy landscape, offering advice and guidance on adherence to existing and future Data Protection legislation impacting Businesses across Europe. The Partnership, concerned with the minefield of information available across the web, consists of a group of qualified organisations and individuals with the knowledge, tools and abilities to deliver a single approach to Compliance that meets the needs of multiple industries. The Partnership' s main objective is to ensure the adoption of a Gold Standard for Information Privacy Compliance through the creation of a Privacy Compliance Framework that can be implemented irrespective of industry. This framework, once adopted, can be used to confirm your compliance status and set the baseline for continual improvement. To support this objective, the partnership have created two core Training opportunities, each of which is unique in the industry. The CIPA designation is a globally recognized certification for Information Privacy Audit, Assurance and Security professionals. CIPA is currently the only GDPR focused Auditing qualification available in the United Kingdom. Aligned to the Information Commissioner’s Office Auditing standard, CIPA is currently the only GDPR focused Auditing qualification available in the United Kingdom. The course delivers the required skillset to Audit and Report on an organisations GDPR Compliance status. It is the standard of achievement for those who audit, monitor and assess information privacy frameworks, covering all aspects of Data Protection. Being ClPA certified proves your Information Privacy systems audit experience, skills and knowledge, and demonstrates you are capable to assess vulnerabilities, report on compliance and recommend controls within the enterprise. Our CIPA Certification course also attracts 20 CPD hours. To remove barriers to training, amongst other options, the Partnership offers the opportunity to cover the costs by Direct Debit – at 0% interest. Speak to us about this option to see if it suits your position.